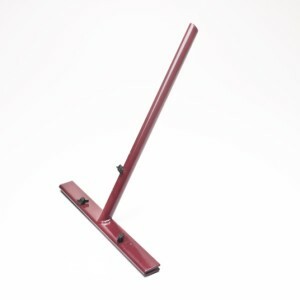 Guttering Accessories – Roof Mechanics & Company Ltd.
Use the Malco C4R Crimper to produce a crimp that downsizes corners of aluminum or steel downspout to create a male connection for joining downspout sections. 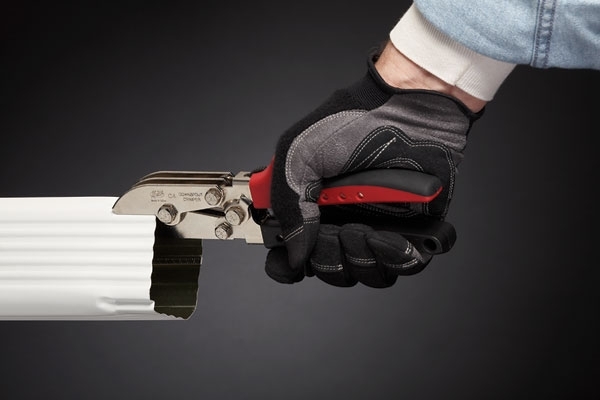 The five blades of this versatile job-site hand tool produce a 1-1/4 inch (31.75 mm) long double crimp without deforming the downspout wall. This factory-like crimp ensures that the downspout wall stays square for a tight fitting, leak-proof connection. The connection is also more self-supporting during installation. A handle closing stop maintains a consistent crimp profile. Hardened all-steel construction and a nickel chrome finish ensure long service life. 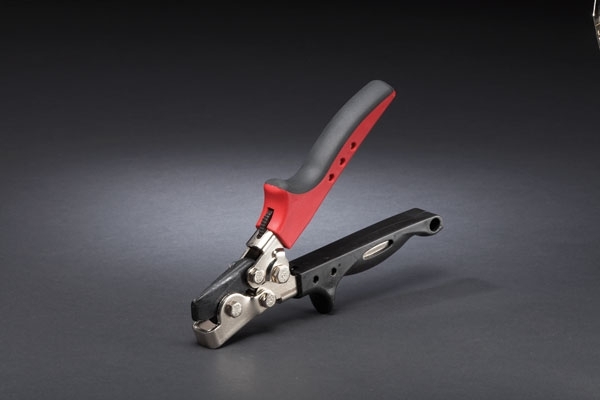 The Malco C4R Crimper also features ergonomic RedLine Handle technology. An Engineered handle opening compliments the natural power stroke of any user's hand and maximizes the powerful 7:1 mechanical advantage of compound-leverage head to handle linkage. Comfortable handle grip contours, a non-slip grip insert, spring handle actuation and a thumb-operated handle latch ensure a natural fit and feel for comfortable one hand operation anywhere on the job. 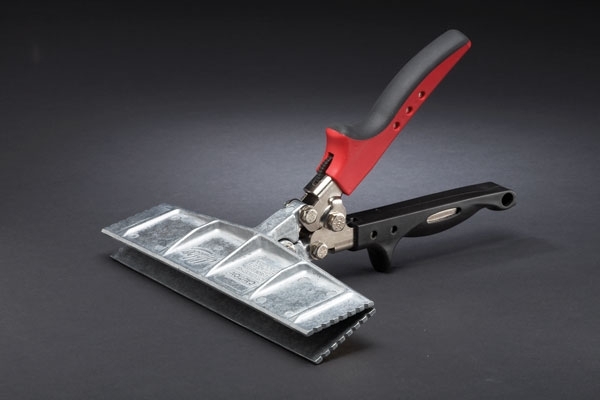 Malco Hand Seamers, with die cast zinc jaws, are gentle on painted or coated metal surfaces and are ideal for making clean and accurate bends and seams in aluminum roof flashing, coil stock or fascia. The Jaws feature depth graduations in 1/4 inch (6.35 mm) increments to a maximum 2-inch (50.8 mm) bending depth. The jaws of these large die cast seamers are bowed so that they will hold firmly and evenly across the entire jaw width even when engaged on very light material. The large surface coverage of these jaws also has an appeal for limited flattening / straightening tasks in light gauge painted steel including edges of auto body panels. These Seamers are not warranted for use as a striking tool or for prying or bending heavy ferrous sheet metal. Durable construction offers long, dependable service life under normal use. 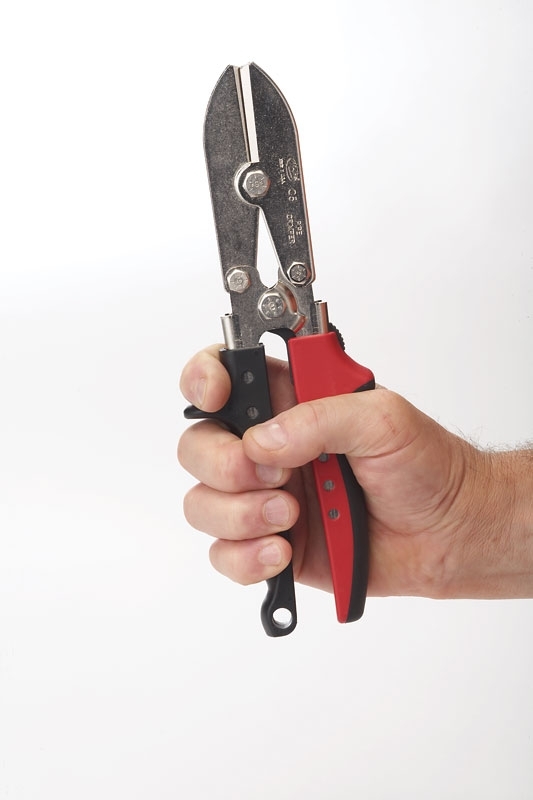 These tools also feature rust resistant nickel plating. 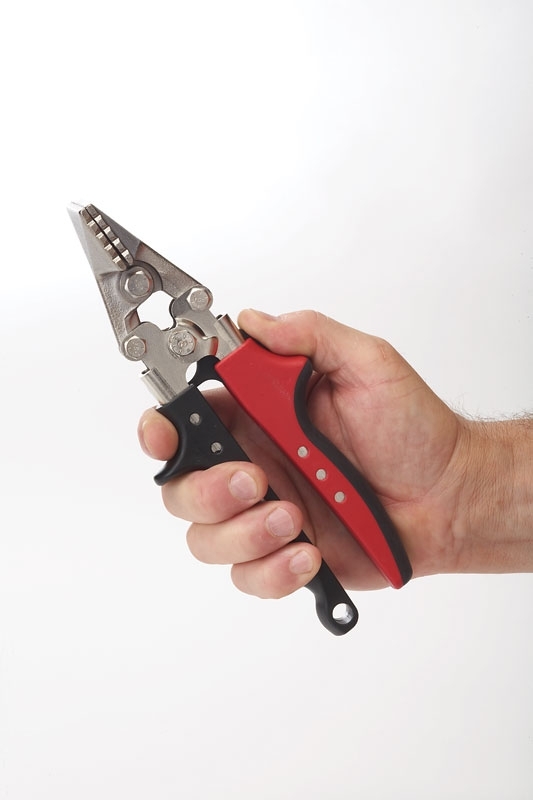 Malco’s Hand Seamers, with die cast zinc jaws, also feature ergonomic RedLine Handle technology. An Engineered handle opening compliments the natural power stroke of any user’s hand and maximizes the powerful 7:1 mechanical advantage of compound-leverage head to handle linkage. Create locking tabs for resizing rectangular metal duct at the job site. 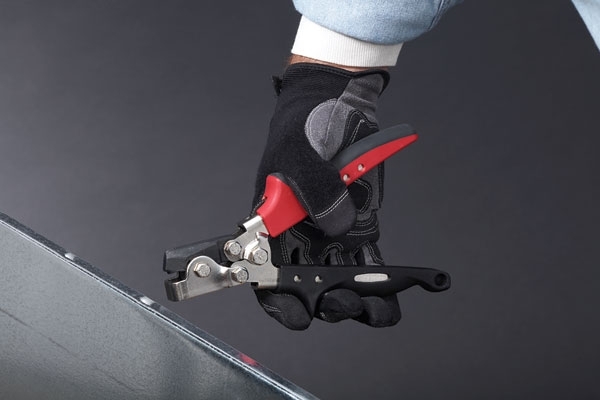 The Malco SL1R Snap Lock Punch raises a louver-shaped projection along the edge of sheet metal that is to be inserted into the rolled lock seam edge of another metal sheet to create a corner connection. The metal pieces snap together and are locked securely. The punch impression is spaced 3/8 in. (9.53 mm) from the metal edge to fit into standard lock seams. A heavy forged cutting jaw and powerful compound handle leverage makes this tool suitable for working in Galvanized steel up to 24 gauge (0.71 mm). 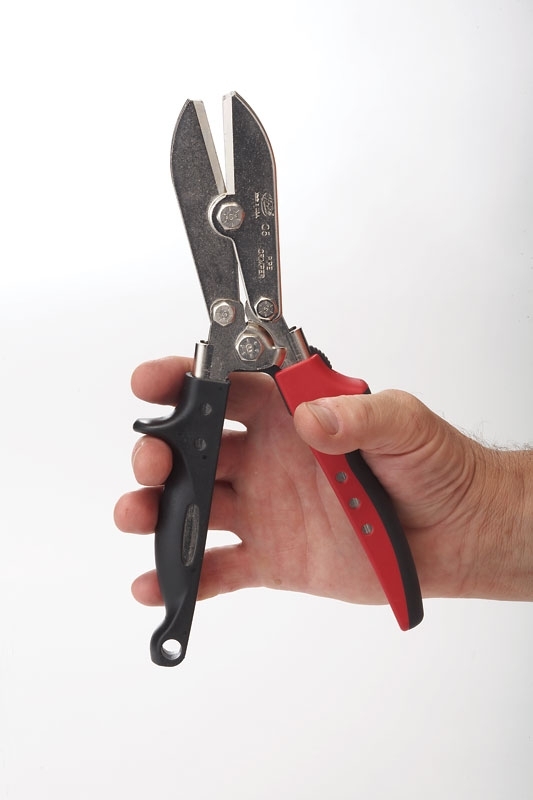 Rust resistant nickel plate and black oxide finishes ensure long service life. 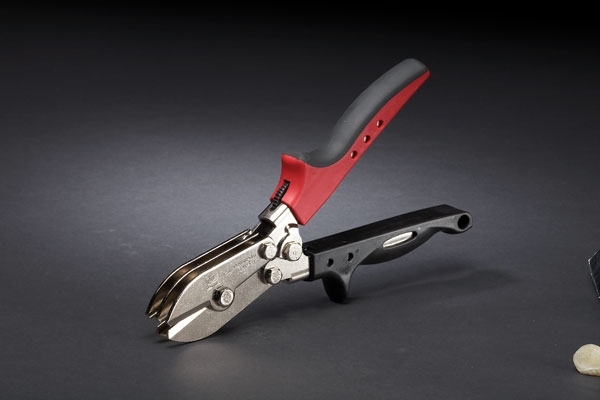 The SL1R Snap Lock Punch also features ergonomic RedLine Handle technology. An Engineered handle opening compliments the natural power stroke of any user’s hand and maximizes the powerful 7:1 mechanical advantage of compound-leverage head to handle linkage. Comfortable handle grip contours, a non-slip grip insert, spring handle actuation and a thumb-operated handle latch ensure a natural fit and feel for comfortable one hand operation anywhere on the job. Used for bending the drip edge under the eave with adjustable stops.